Announcing Zombies, Run! 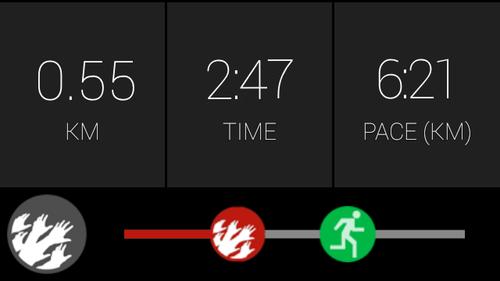 Glass Edition – Zombies, Run! Zombies, Run! is all about putting the player in an post-apocalyptic world with a gripping story and gameplay that motivates you to run faster, further, and more frequently than ever before. That motivation is why over 900,000 people, from beginner runners to expert marathoners, have bought the game and become Runner 5. Lots of people ask us why we don’t include graphics or interaction while you’re running. The reason is simple: if you’re a jogger or runner, you know there’s nothing more annoying than having to dig out your phone, unlock it, and then try not to drip sweat on the screen. That’s why Zombies, Run! is an audio-first game: we don’t want to do anything that takes you away from your run or from our brilliant story, written by co-creator Naomi Alderman. But that’s for the billions of smartphones in the world today. What about tomorrow’s technology? To answer that question, we’ve been secretly developing a prototype version of Zombies, Run! 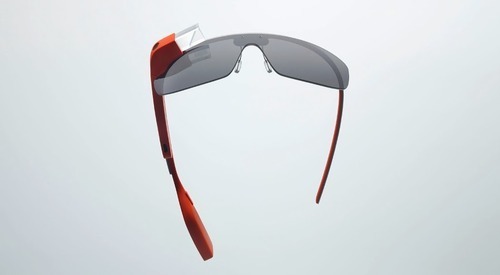 for Google Glass, with the expert help of the people at Google. What’s in ZR Glass Edition? We’re bringing the core Zombies, Run! experience to Glass – an exciting, motivating experience that takes place in the real world. 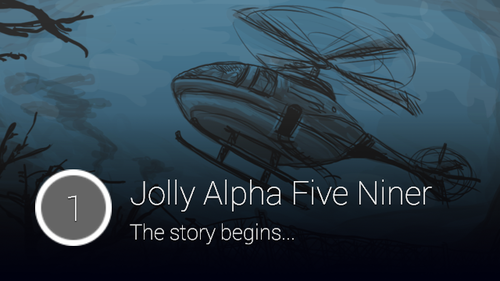 ZR Glass Edition includes the first three missions of Season 1 for free, and it comes with a beautiful new interface that’s precisely designed for Glass. 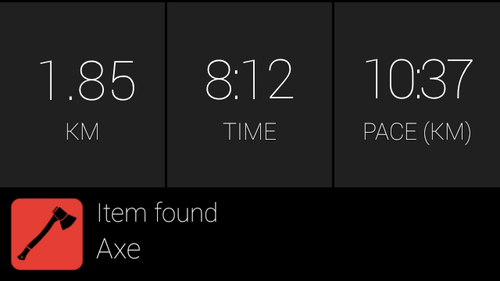 Players can easily monitor their pace, distance, and time at any moment, along with real-time visual information on events like chases and item pickups. No need to unlock your phone or wait until the next time/distance audio notification – all that information is available in your vision. And of course, you can listen to your music at the same time – even streamed from Google Play Music. ZR Glass Edition is an experimental first step for fitness games into a new world of heads-up displays and wearable devices, and we have plenty more ideas about where we can take players. We’re really excited to hear what you think of it! I’d like to thank Babu Madhikarmi, our lead Android developer on this project, for his hard work and dedication, along with all of the lovely people who work on Zombies, Run! 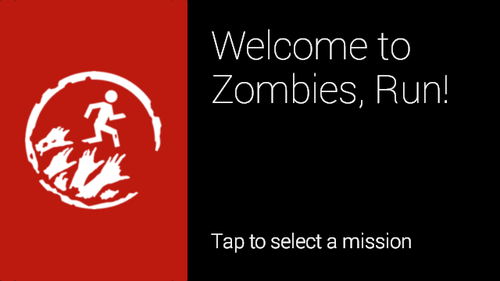 Babu will be at the Google I/O conference this week wearing the Zombies, Run! T-shirt – say hello if you spot him! P.S. You might be thinking, “Wait, if ZR Glass Edition can play Google Play Music, what about the main Android app?” You’re in luck: our next Android release will include experimental support for not only Google Play Music, but also Spotify – and potentially other streaming music players. If you’re one of the lucky 25% who are running 3.1.2, then have a look in the app’s Settings screen for more details, and let us know how it goes.